No more fear of curves! See and learn one of Nelly’s favorite quiltmaking techniques – the one she uses to create curves without sewing any! 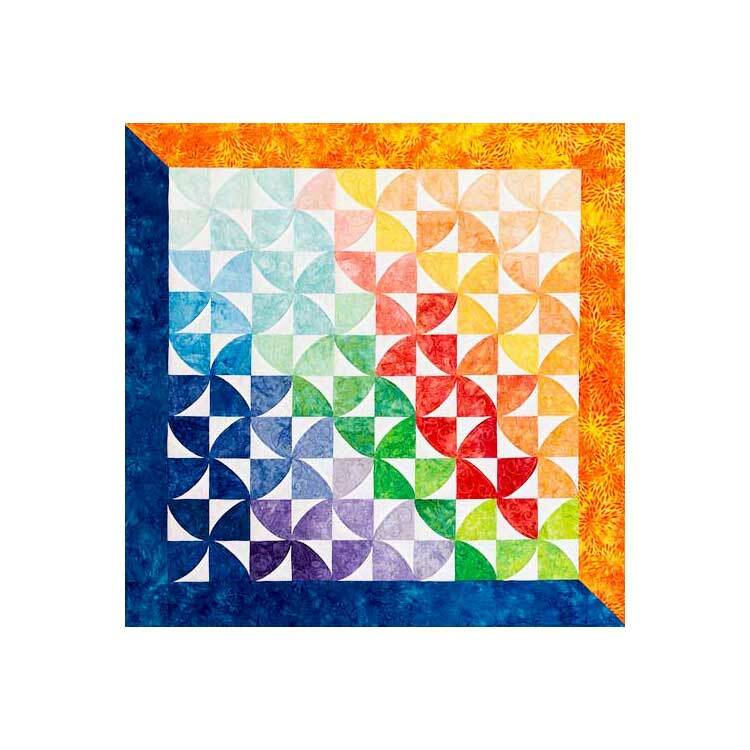 You’ll use it over and over as you assemble this tessellating design, which is actually constructed using squares — exclusively. 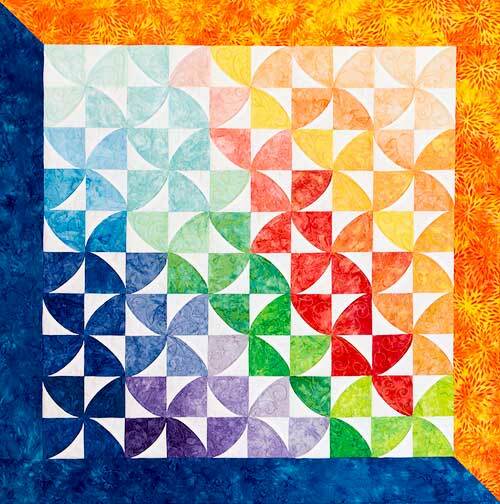 Explore how to create dynamic movement with color choices, and discuss finishing options for a dynamic quilt.